View Thru Technologies provides a complete line of shielded filters that are designed to meet any shielding requirements ranging from low-level anti-static applications to Level 1 TEMPEST applications. We utilize our own proprietary printed copper mesh, as well as an array of conductive coatings to meet shielding requirements. View Thru’s shielded windows can be designed to provide the necessary level of radiation shielding without causing an unacceptable degradation to the optical performance of a display. In addition to wire meshes, View Thru offers a Printed Copper Mesh line. The printed copper mesh is available in 80 openings per inch and 160 openings per inch. View Thru is now also able to offer an Exposed Conductive Printed Copper Mesh. The development of the Printed Copper Mesh line allows View Thru to offer brand new shielding capabilities, while significantly improving light transmission. Independent testing has verified the superior shielding effectiveness of the new Printed Copper Mesh product line. 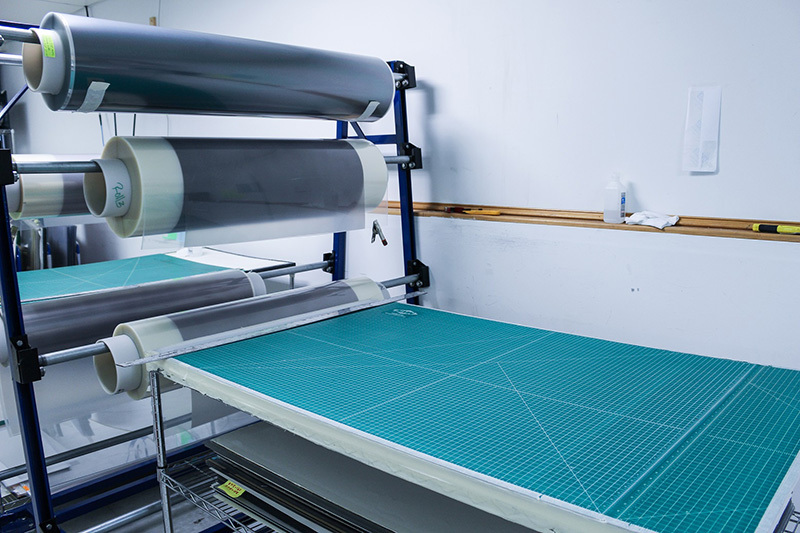 Shielding data for the 160 OPI Printed Copper Mesh is equivalent to that of the 100 OPI Plated Stainless Steel Mesh, while still offering significantly higher light transmission. In fact, it provides a preferable 82% light transmission to the 72% light transmission provided by the Plated Stainless Steel Mesh. View Thru Technologies offers fine wire mesh as an enhanced shielding solution. These woven meshes are available in blackened copper, as well as silver plated and blackened stainless steel. The wire mesh is woven and plated for high levels of electric conductivity, while remaining uniform and consistent to limit impacting the optics. The blackened copper wire mesh, which is typically .0022” in wire diameter, is available in 100 openings per inch. The plated, blackened stainless steel wire mesh, which is typically .0012” in wire diameter, is available in 50, 80, and 100 openings per inch. 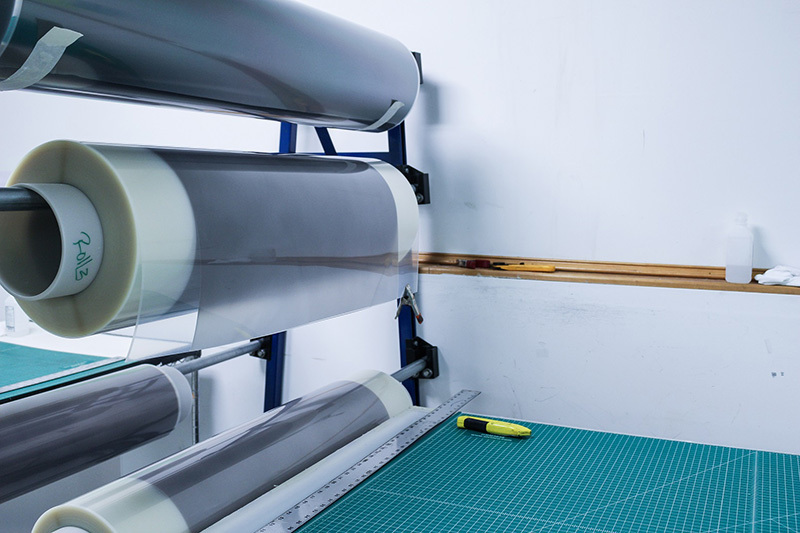 View Thru Technologies offers transparent conductive coatings such as indium tin oxide (ITO) for application on different types of glass and plastic substrates. These transparent coatings typically offer higher optics; however, they offer less shielding effectiveness. View Thru offers conductive coatings beginning at 10 ohms through 100 ohms.